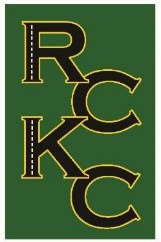 Kalamazoo, MI (July 20, 2018) – The Road Commission of Kalamazoo County (RCKC) is proud to announce the approval to move forward with the Municipal Maintenance Technician (Roadway Technician) Registered Apprenticeship Program. The program was approved by the Board of County Road Commissioners of the County of Kalamazoo at their April 3, 2018 Board Meeting and the Standards of Apprenticeship are being signed at the Board of County Road Commissioners Board Meeting on July 24, 2018. This program will be nationally registered with the US Department of Labor and is the first of its kind in the State of Michigan, as it relates to road commissions. The RCKC worked collaboratively with the Teamsters Local 214, the US Department of Labor, Michigan Human Resources Development Inc. (M-HRDI) and Michigan Works! Southwest to develop this registered apprenticeship as a way to support recruitment and retention in this unique industry, and assist in further developing the skill trades in the State of Michigan. “The partners were critical to the development of this innovative opportunity, and we are looking forward to continuing our partnership as the registered apprenticeship is implemented,” said Sam Dougherty, Business Services Manager for M-HRDI/Michigan Works! Southwest. The Board of County Road Commissioners of the County of Kalamazoo strives to use expertise, energy and funds to provide the safest and most convenient road system possible, and to contribute to economic development and high quality of life throughout the county. For more information visit http://www.kalamazoocountyroads.com/ or http://www.kalamazoocountyroads.com/jobopenings.php for more information on the apprenticeship program.